Polynesian recording artist George “Fiji” Veikoso is one of the most dynamic entertainers the Pacific Rim has produced, who continues to be one of the most influential artists in contemporary Island Reggae music. Fiji has recently released his special 2-disc album ‘Collection: 50th State of Mind,’ out now via Mensch House Records! Since leaving his Fijian island homeland and settling in Hawaii at the age of 14, Fiji’s golden voice and expansive musical repertoire have launched him onto the world stage as a pioneer of the Lost Coast Sound. In support of his recent release, Fiji will be touring the US this Winter 2019 with rising songstress Lea Love! Since his 1994 album debut “Evolution” to 2010’s digital-only release “Fiji EP,” Fiji’s musical output has earned him numerous industry accolades and awards such as Hawaii’s Na’HokuHanohano Award for “Male Vocalist of the Year,” “Favorite Entertainer of the Year,” and “People’s Choice Award.” His collaboration on the “Island Warriors” compilation album earned a Grammy-nomination for Best Reggae Album, an accomplishment that only a few Hawaii-based artists have achieved. Fiji’s island-roots inspired grooves have also earned him a place in popular television and film. He co-wrote the theme song for “Baywatch Hawaii,” appeared as an actor in the film “Blue Crush,” and performed on the “Live with Emeril Lagasse” cooking show. Fiji has shared the stage with many of Hawaii’s top entertainers along with national recording artists: Gladys Knight, Aaron Neville, Beres Hammond, Damian Jr. Gong Marley, Ziggy Marley, Kymani Marley, Steel Pulse, Maxi Priest, and Inner Circle to name a few. Who and what are some of your influences? Bob Marley, Toots Hibbert, and Jimmy Cliff. You have shared the stage and backed quite a few of the most popular reggae artists. What is one of your most memorable performances with a popular reggae artist? Alpha Blondy, Lucky Dube, and Busy Signal. What style of reggae do you play most often? [Dancehall, Lovers, Rock, Conscious, etc.] What style do the majority of fans seem to prefer? Was the fact that Reggae is in Patois a barrier to members who have a non-Jamaica background? 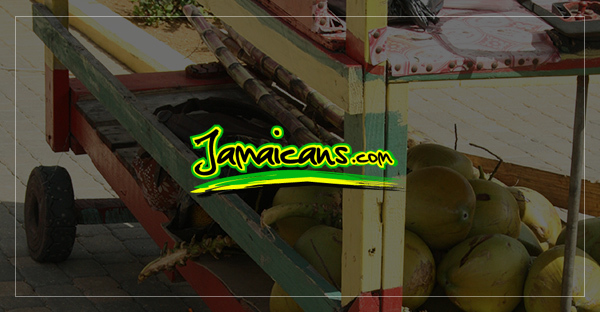 Have you performed in Jamaica yet? Not a big show yet. Learn more about Fiji on his website, SoundCloud, Facebook, and Twitter.